Do you know what your equipment looks like on the inside? 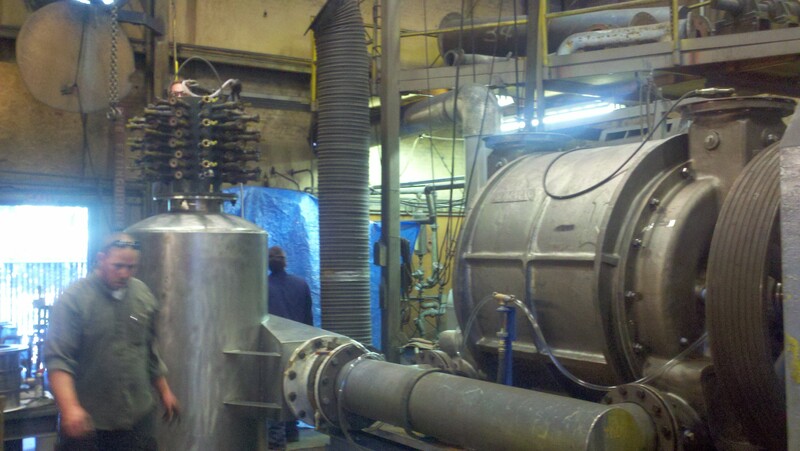 Liquid ring vacuum pumps, compressors, gyrol fluid drives, gear reducers, screw presses, refiners, centrifugal pumps, blowers, and other similar industrial equipment can be remanufactured and restored to “new” condition. Since 1973 Somarakis, Inc. has based it’s repair arm of the business (formerly known as Commercial Repair & Machine Works, Inc.) on saving time and money for our customers with expert repair and equipment testing. This commitment is backed by Somarakis’ hard working people who understand the importance of staying up and running 24 hours a day, 365 days a year. We guarantee our work with an extraordinary 3-year warranty and an 18-month performance guarantee (performance is guaranteed to be within 5% of new operating condition for both capacity and horsepower). This is the same guarantee that we provide for brand new vacuum pumps and compressors. No one else in the industry even comes close to offering the same level of workmanship and quality. We’ve always prided ourselves on “going that extra mile” for our customers, and repairing your pump or compressor the way that it should be the very first time. The real proof of quality work is realized in terms of performance and service life, and that’s why we always remanufacture all parts to OEM tolerances using only high nickel content (99% Ni) welding rod and the highest quality materials. No fillers of any kind, which will inevitably break away and degrade pump performance, are ever used. Stainless cladding, whenever applied, is always low carbon grade 304L, 316L, or 317L. With good reason, our customers have come to expect only the very best from Somarakis. Not only does that mean that they’re getting a top quality repair at a competitive price, but also peace of mind that their remanufactured pump or compressor is performance tested prior to shipment. And that’s why we provide a free performance test for each and every pump or compressor that goes through our shop. We encourage client participation during the performance test, and our facility is always open for visits by our customers. To serve you better we carry an extensive inventory of new and remanufactured pumps, parts, and accessories. Most vacuum pumps ranging in size from 200-9,000 CFM are available for immediate shipment (purchase or exchange). 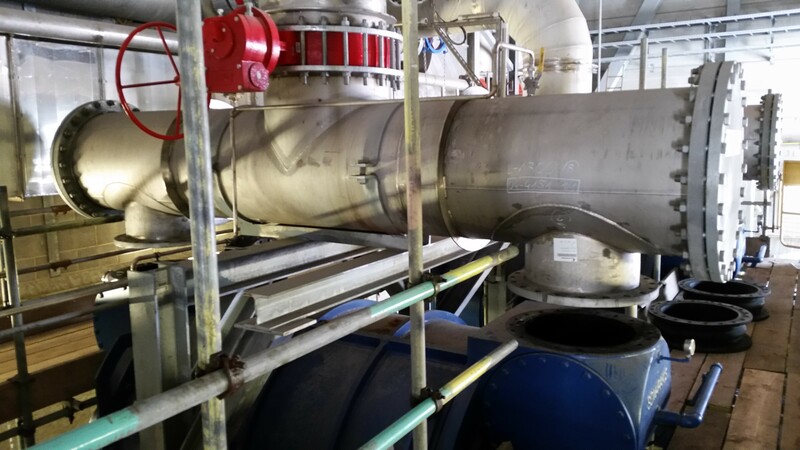 Old, worn-out pumps and compressors may also be replaced with new, highly efficient, 100% interchangeable Somarakis units featuring numerous design benefits over similar models. The most current borescope technology available. 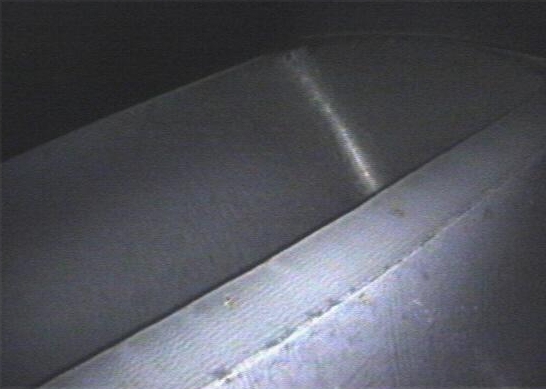 Visual inspection of the inside of your equipment. Capabilities include digital photography, labeling of photos, and taking internal measurements. A typical measurement takes less than 15 minutes. Borescope picture of a new rotor. 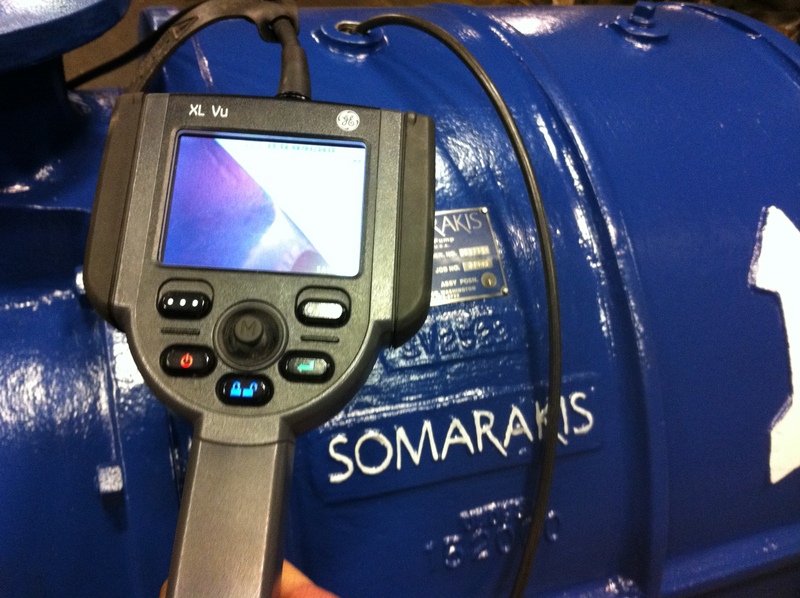 With Somarakis’ professional borescope services, which are usually scheduled during planned outages, you can now visually see the internal wear and condition of your equipment – without the need to remove it from service. This will allow you to anticipate needed repairs before a failure occurs, and help to prevent untimely disasters.